Episode 99 - This is the final piece that brings us around, back to the beginning. We covered some of this territory before, back in Episode 2, but at the time, it was hard to explain that Parikshit was Arjun's grandson and that Takshaka had an ancient feud with the dynasty going back to the fire at the Khandava Forest. Also, back then we were anxious to get going with the story itself, and all the digressions with angry brahmins and talking snakes only made things confusing at the time. So now we have re-visited the beginning at our leisure, and now you know the circumstances in which the Mahabharata was first publicly recited. The burnt snake guts must have still been warm when Vyasa's disciple Vaishampayana began the tale. So that's all for a while. I am working on a commentary for episode 100-- reviewing the story and considering what was included and what was left out. Please visit this blog (http://mahabharatapodcast.com) and leave comments, or questions, or any requests for what I should include in my final summing up of the epic! Lawrence, First of all, thanks for the great effort and having the motivation to finish off the epic. Great Job. I have read the Mahabharata many times including the translation by Ganguly and still this Podcast was special as it gave a different perspective to certain characters. What I would like for you to include in the last episode is your analysis of certain key characters in the epic and your perspective of the characters you liked or disliked the most. I know that is probably asking for too much, but at least a brief overview should be great, should take about 5 mins I guess of your episode length, but would be great to summarize at the end. 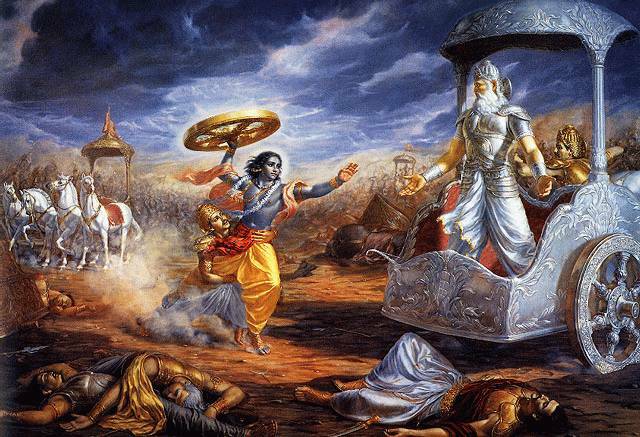 To me, the Mahabharata was always special. It was special because of certain characters that had so much depth to them and would like to see that explored just a little at the end summary. I have been listening to the last 3 episodes once again. I really like the way you have concluded the podcast - great work Bro !! Interestingly, Mahabharata has always generated so much of curiosity and a matter of plenty of research, tv dramas, movies, books etc. Also, there is one Dr. Narhari Achar whose name features in establishing some sort of timelines around some key Mahabharata events and I also remember a BBC documentary based on the submerged city of Dwarka. Most importantly - I like listening to your bit about some events and the characters in the epic. While difference of opinion is bound to be there given that we are discussing Mahabharata but you have been fantastic !! Thanks Much !! This is what I needed for my study on mahabharata.